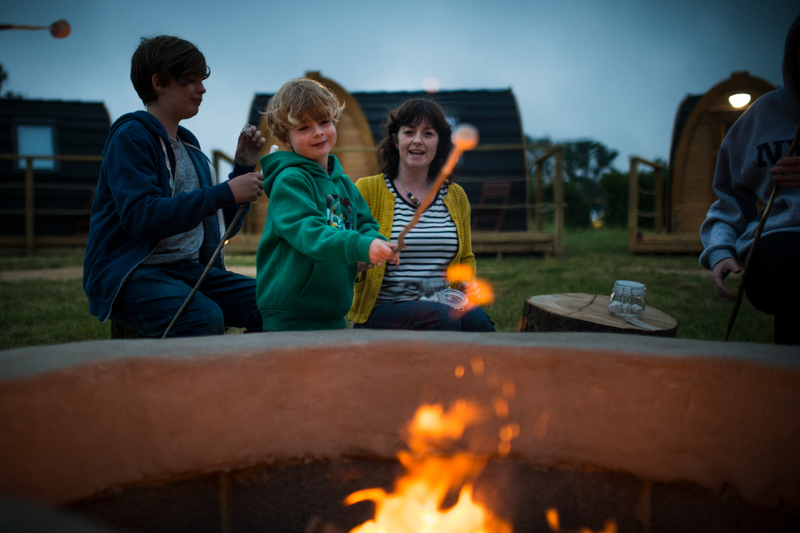 From feeding exotic animals to cosying up whilst toasting marshmallows over a crackling fire… a stay at Camp Baboon is nothing shy of a truly unique and unforgettable experience! Enjoy easy, free parking for the duration of your stay. When you arrive, make your way to our main entrance where you will be welcomed by our friendly guest services hosts. Once you have checked-in and settled into your luxury cabin, take the day to immerse yourself in the safari surroundings as you explore Wild Place Project at your leisure.  After the gates have closed to the rest of the public, we’ll meet you back at Camp Baboon for an exclusive evening of fun and adventure! You’ll be the only guests on-site as the sun begins to set and the gates of Wild Place Project close. 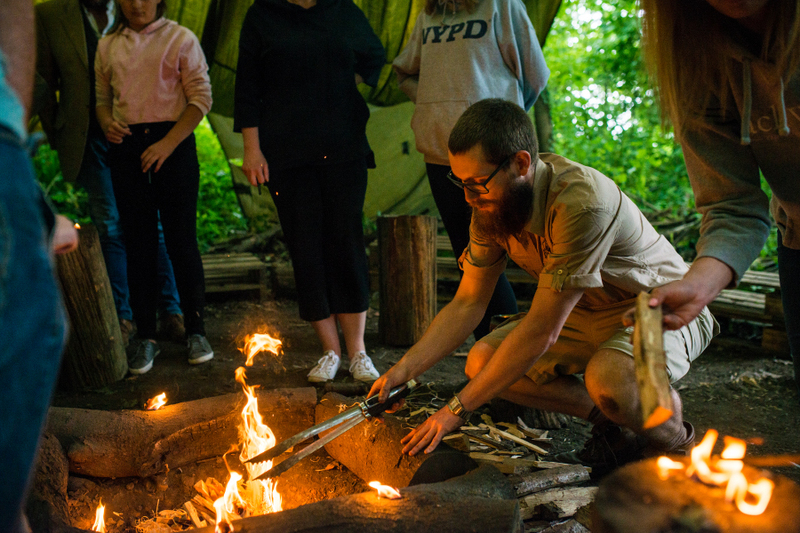 Head off into the woods for a range of fun and exciting bush craft activities, led by our experienced hosts. 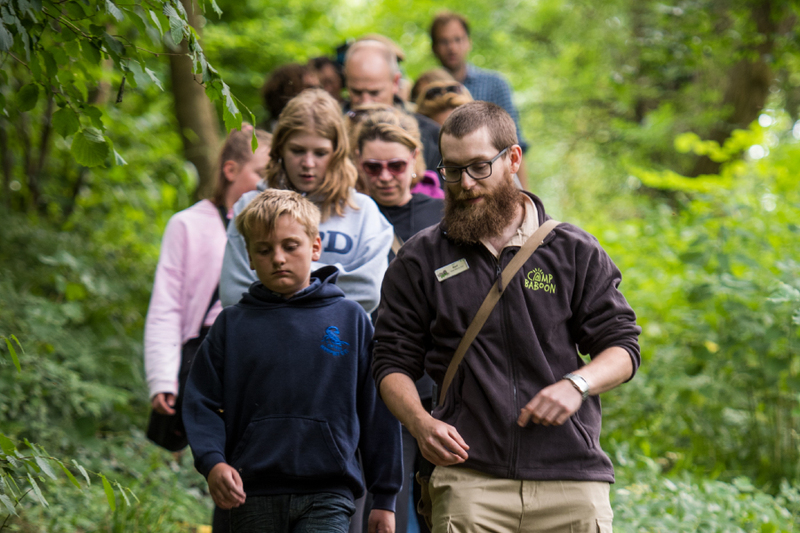 Learn new skills and spot the native wildlife species around you. 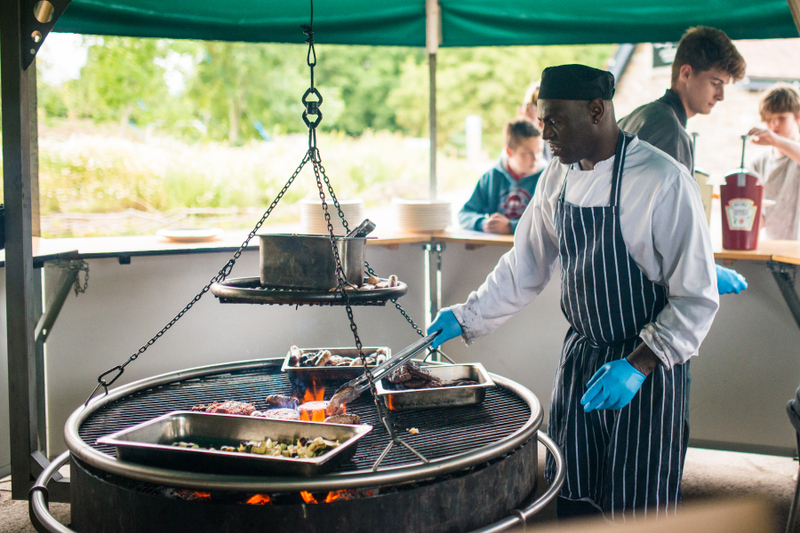 Join your host for a tasty two course dinner, freshly prepared by our onsite chef. Take some time to enjoy the peaceful atmosphere, good food and beautiful natural surroundings in a relaxed and informal environment. Get ready for a special evening tour, where you’ll see some of our animals by night like you’ve never seen them before! Learn all about our animals from our knowledgeable hosts in what is guaranteed to be a truly unique and magical evening in a spectacular setting. 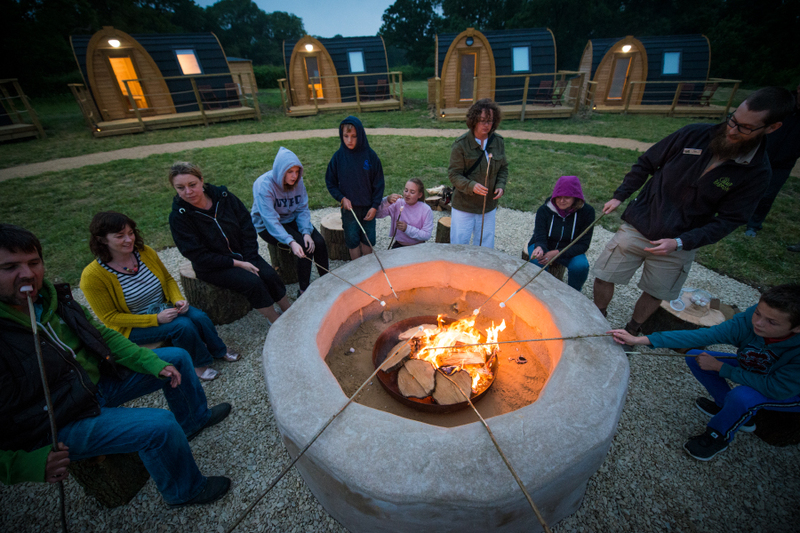 With our bespoke, fully heated, en-suite cabins, you can enjoy all the excitement and adventure of a unique rustic camping experience, with the added luxury of cosy beds, decorative soft furnishings and an individual shower room within each cabin. Our set of 10 luxury cabins, all of which feature a double bed, bunk beds and an open-plan living space, are carefully positioned to optimise your overall experience and are situated only a stone’s throw away from our Gelada Baboons. Be the only people on-site overnight and indulge in a completely unique experience at Camp Baboon. 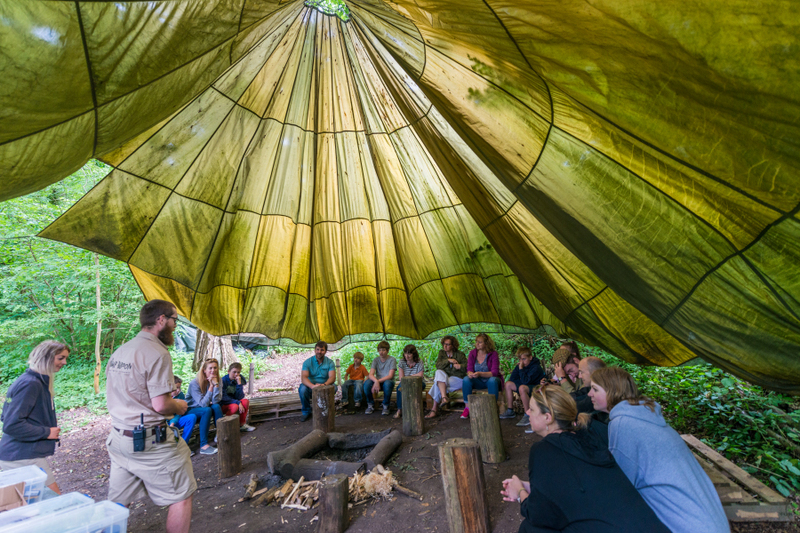 A morning at Camp Baboon is one you’ll always remember! Wake up in your cosy cabin and listen to the sounds of the animals as the sun rises over Wild Place Project. Enjoy a complimentary tea or coffee in your cabin, before taking an early morning tour around the park to visit some of our animals as they wake up for the day. 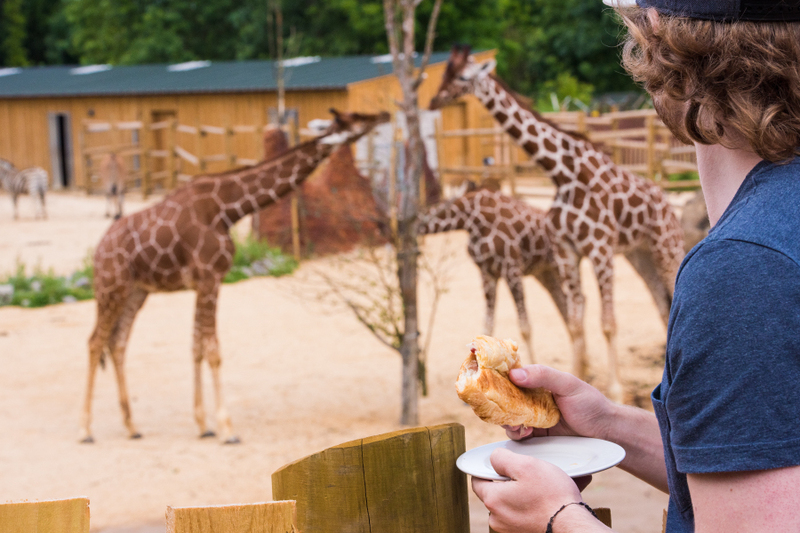 Not only will you get to explore the magical grounds of Wild Place Project and see our animals outside of visitor hours, but you will also experience the unforgettable opportunity to get even closer and help feed some of your favourite animals their breakfast! This is a once in a lifetime opportunity for all animal lovers, and is exclusive to your stay at Camp Baboon. After your morning tour, your host will take you to our Courtyard Café where you will be able to enjoy a continental style breakfast. Following breakfast you will be guided to our new giraffe house, inside the Benoue National Park where you can take in the magic of the calm, peaceful surroundings, enjoying the company of our giraffe, zebra and eland… all before the park opens to the public. 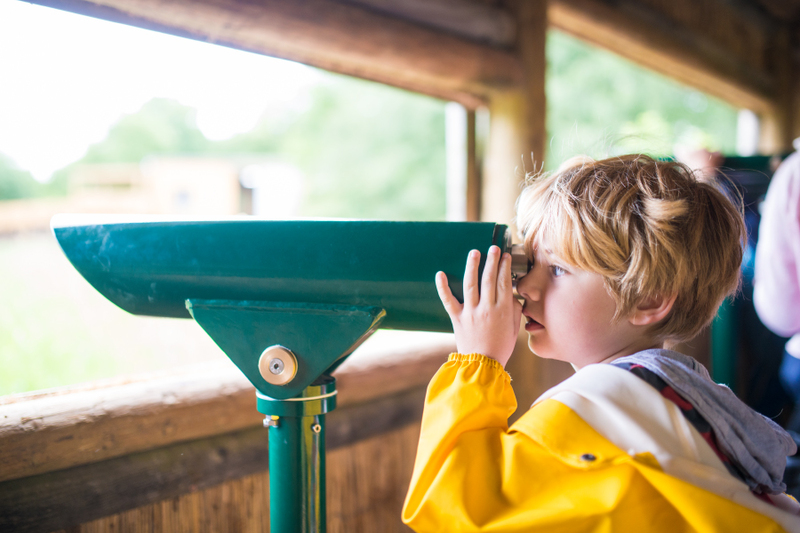 After enjoying an exciting morning of jam-packed adventure and breakfast, check-out from your cabin at 10am and enjoy wandering around Wild Place Project for the rest of the day at your leisure. 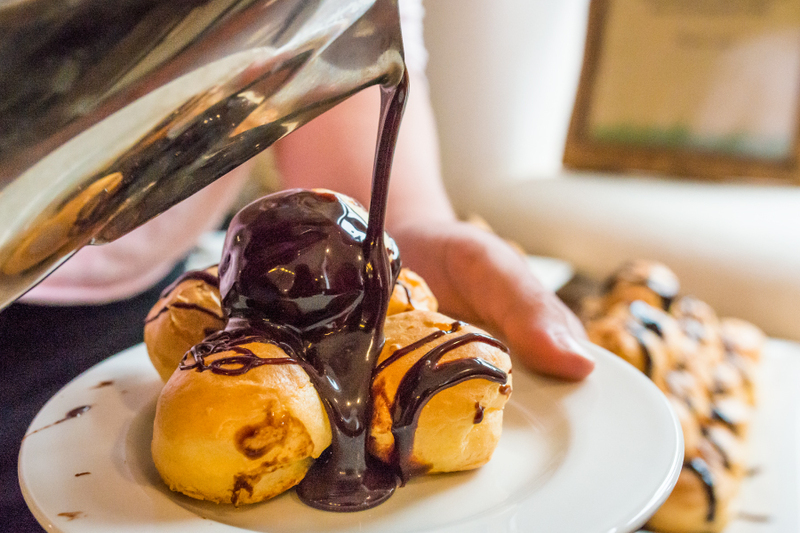 Still hungry for adventure? 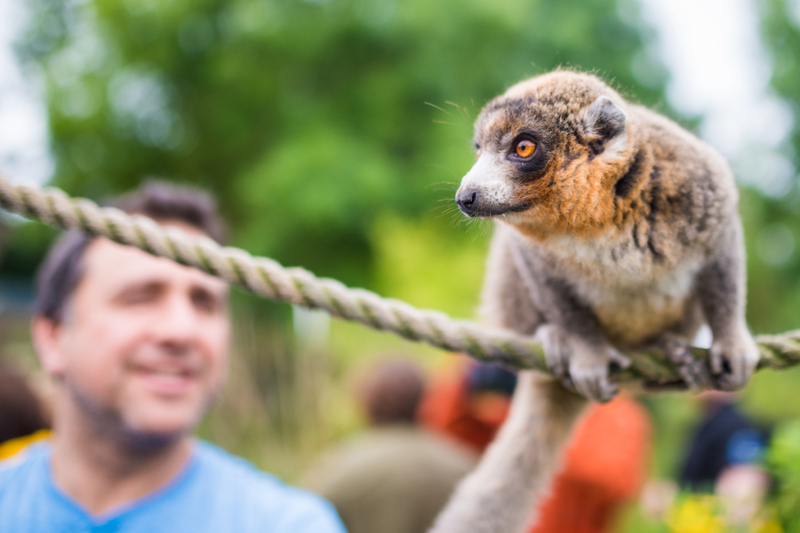 Explore even more animals at Bristol Zoo Gardens with special FREE ENTRY the day after your stay, which is part of the package when you choose to stay with us at Camp Baboon. 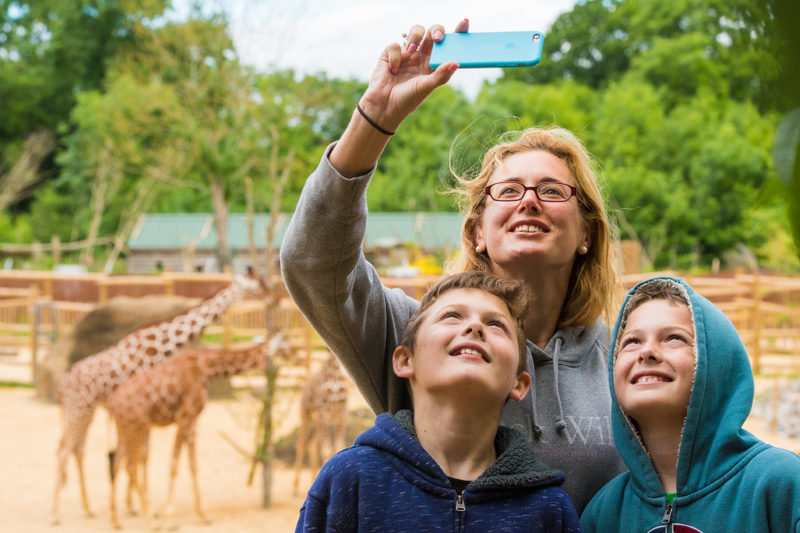 As an extra special thank you for visiting us at Camp Baboon, we would like to offer you FREE ENTRY to our sister attraction, Bristol Zoo Gardens, the day after your stay! 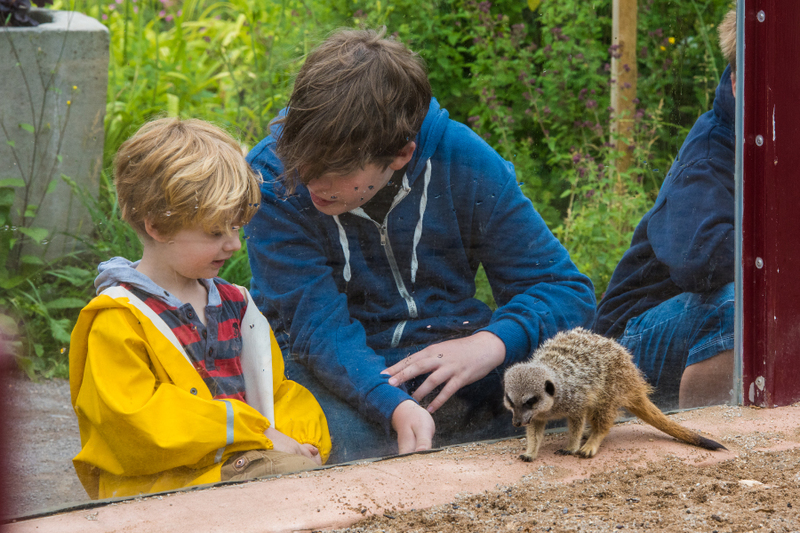 Explore over 400 species of animals set within 12 acres of beautiful botanical gardens, including undercover animal houses and wonderful picnic spots. Simply pick up your FREE TICKETS from your pack in your cabin before leaving Wild Place Project, and make the most out of the experience. Are you ready for your overnight wildlife experience? Bristol Zoological Society, Bristol Zoo, Clifton, Bristol, BS8 3HA. Registered in England & Wales. Registered Charity Number: 1104986.